you can find unusual things! 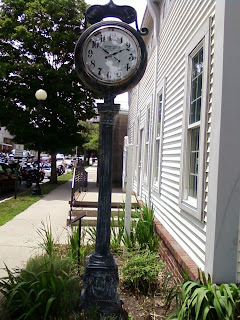 I found this very nice street clock in New Harmony, Indiana recently and thought it might be a nice photo for this feature of our blog. After taking several photos, I noticed the name of the clock company and thought I should write it down in case it did not show well in the photos. 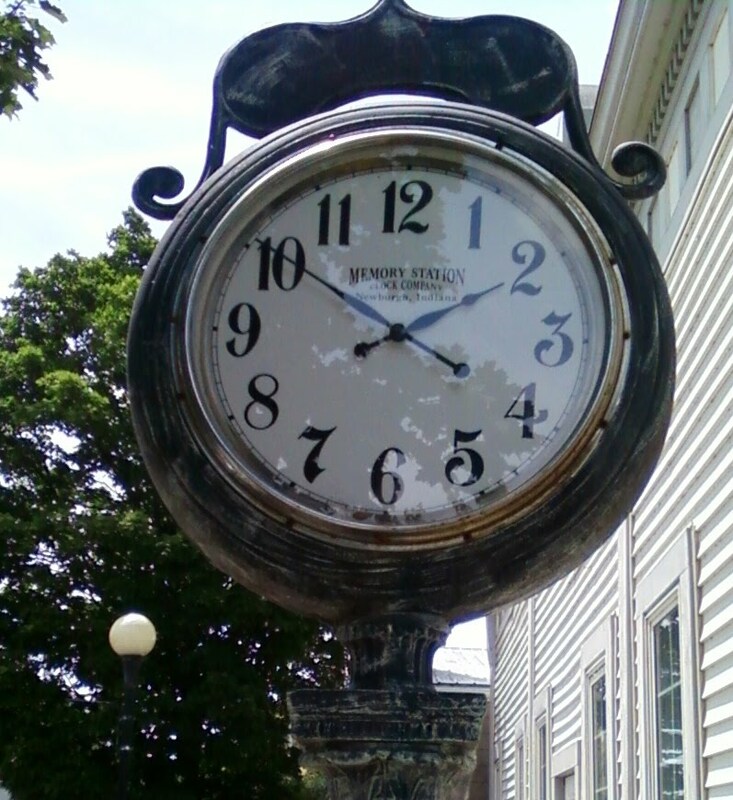 By the way, the clock is about 12 feet tall. You should click on the photos to get a larger image and you may be able to read what is on the face. 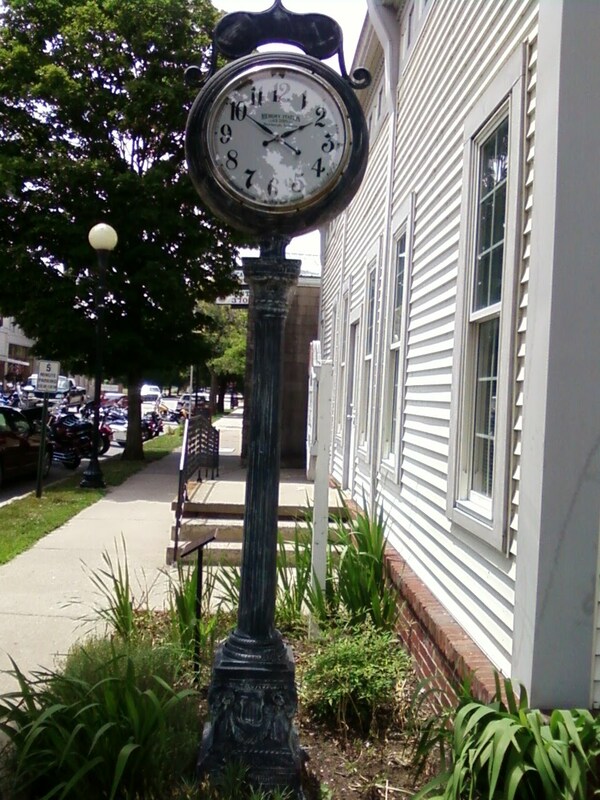 Leaves from a tree is reflected on the clock face making it difficult to read. The face reads: "Memory Station Clock Company Newburgh, Indiana." So, this is from Newburgh to New Harmony!